Kief is the dry sift resin that covers the outside of the cannabis plant. The outside of the cannabis plant is covered in sticky, glistening crystals called trichomes which are packed full of potent cannabinoids. Kief is created when you grind cannabis buds, which removes and collects the trichomes from your cannabis flower resulting in a fine, powdery material that is packed full of active botanicals and cannabinoids. How is it different from cannabis flower ? Kief is different from ground cannabis flower in that it is solely made up of the sticky, glistening trichomes that cover the cannabis bud. Trichomes contain the highest concentration of cannabinoids out of the entire bud, and while cannabis flower contains 12%-25% of THC on average, kief contains 50% on average, and has even been known to reach up to 80%. Super-charged with potent plant oils, kief is much stronger than regular cannabis flower and as such, you only need to use a small amount to feel it’s effects. This makes it an excellent choice for medical marijuana patients who need a stronger dose of terpenes and cannabinoids. With such high concentrations of THC and CBD compared to regular ground cannabis, kief also makes for a highly effective quick fix to nip unpleasant pain symptoms in the bud. Collecting kief is actually quite simple, provided you have the right grinder - a 3 piece grinder to be exact. 3 piece grinders contain a chamber that collects the small particles of dry sift kief when you grind your plant matter. While collecting kief is quite a slow process, you’ll be surprised how much you can accumulate over time. Collecting enough to kief to incorporate into edibles and cooking recipes takes substantially longer, but you could have enough kief to sprinkle a little into a joint or bowl in a matter of weeks. Even smaller quantities of kief can make a huge difference to your treatment. Here’s the easiest ways to try out using kief! The easiest method for consuming your kief is to drop it into a bowl! The next time you go to spark up a bowl, sprinkle a little kief on top of your regular medical marijuana. Using your regularly ground flower as a bed for the kief to sit on top of stops the smaller particles of kief falling through your pipe. One important thing to keep in mind is that unlike regular cannabis flower, kief stays lit and continues to burn for considerably longer between hits. This is a great feature for anyone who likes to take long, leisurely sessions. You can easily use your kief to DIY your own hash at home with some parchment paper and a hair straightener. While it may not be the most refined method of producing your own medical cannabis hash products, it’s a perfectly effective and simple way for individuals with small quantities of medical cannabis who want to try out hash before they go and splurge on products from a medical dispensary. To try out making your own hash from kief, sprinkle some kief into a piece of parchment paper and fold it securely into a square. Carefully place the parcel in between the plates of a hair straightener on a medium-high setting and press down firmly. Remove the parcel and allow to cool for a few seconds before unfolding, before opening to reveal your newly pressed kief hash. Hash can be used in a myriad of ways, but one of the easiest methods is with a glass pipe. 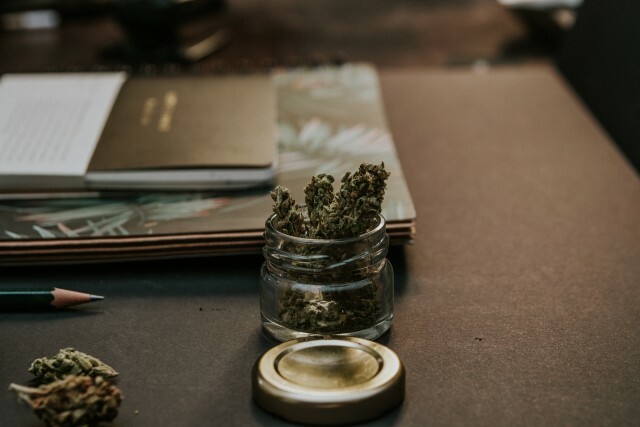 You can smoke hash directly from a bowl without any cannabis flower, as it is compressed enough to prevent any particles from falling through the air hole of your pipe. You can also incorporate hash into edibles and tea. There are so many different ways to enjoy kief, but one of the most common methods is to smoke it. Kief is smoked the exact same way you would smoke regular bud, however because of it’s more dusty texture it can be a little trickier to handle. One easy way to incorporate kief into your next session is by sprinkling a little into a joint. Simply pack your papers with some regular bud, sprinkle in a little kief, and then add some extra bud on top to keep the kief packed safely in the middle.This means you’re less likely to spill all that valuable gold dust everywhere when you try and roll it into a blunt or joint, and it also means your material will burn more evenly. When using kief with papers, we recommend using a rolling device to keep things as neat as possible.